The first half of this financial year (April 2012– September 2012) has registered growth for both life and general insurance companies. As compared to the same period last year, Life insurance companies have registered a growth of 11.2 % in new business premium collection while non-life insurance premium collection grew by 24.70%. The total collection for life insurance companies stood at Rs 26,889 crore while that of non life premium totaled at Rs 34001 crore. The growth in the life insurers was primarily driven by individual regular premium policies which showed a growth of 21% during April 2012 – September 2012 as compared to April 2011 – September 2011. On the other hand single premium policies registered a negative growth of 9.6% for the same period, the possible reason being these policies are less attractive to prevalent tax exemptions. 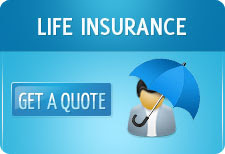 The frontrunner in premium collection is once again Life Insurance Corporation of India (LIC). The premium collected by LIC helped to boost the overall figures in the life category while the private players suffered a negative of 13.7%. Among the 23 private life insurers only six insurers managed to show an increase in premium collection. On the other hand the non life insurance category had a completely different story with the private players faring better than the four state owned general insurance companies. General Insurance companies like Max Bupa Health Insurance, Bharti Axa General Insurance and HDFC Ergo witnessed a healthy growth of 65%, 48% and 40% respectively for the period under consideration. Star Health and Allied Insurance was the only private general insurance firm to report a decline of 38% in premium.